What better way to start the day than with a dish of soft and fluffy rave idli with delicious coconut chutney and sambar? Idli is an extremely popular South Indian breakfast that is prepared in almost each and every house and served at restaurants. Rava idli has a good shelf life and stays fresh for 1 to 2 days when stored in a refrigerator. It can be enjoyed as a snack or a light meal. Idli is a non-spicy and low-oil recipe that does not require deep frying making it a healthy breakfast option. The use of rava instead of white rice helps to replace the simple carbs and makes it even healthier. The combination of lentils and nuts in the tempering not adds a nice crunch to the idli, but also adds some much needed fiber, healthy fats, vitamins and minerals to the recipe. Pori upma also known as Maramaralu Upma is a simple and quick Indian breakfast recipe made with puffed rice. It is a healthier version of the common bhel puri which includes some vegetables, nuts and lentils along with the puffed rice. It makes a delicious and healthy breakfast as well as tasty tea time snack. It is a low calorie breakfast recipe that can be enjoyed without any guilt. The puffed rice used in this recipe has negligible amount of calories, total fat and saturated fat and zero cholesterol. Vegetables such as green peas and carrots included in this recipe are powerhouse of nutrition that add dietary fiber, beta-carotene, antioxidants and other nutrients to the dish which help to boost up energy and improve overall health. 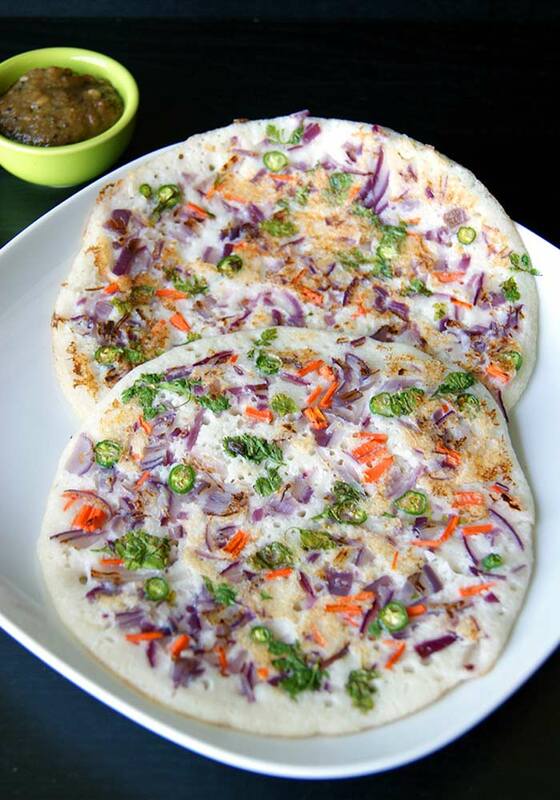 Uttapam is a famous South Indian breakfast recipe hailing from the state of Tamil Nadu. It is an extremely versatile dish that can be made with a variety of vegetables. Onions and carrots have been used in this recipe. Uttapam is a softer and fluffier version of the crispy dosa that soaks up the gravy and chutney. This delicious, spicy and wholesome onion uttapam tastes best with chutney and sambar. This is yet another low-oil non-spicy recipe that is light and delightful. It requires no deep-frying or tempering that makes it an ideal breakfast for health-conscious people. You can include your choice of vegetables in the form of toppings to enhance the health quotient of the dish. Kanda Poha is a famous Maharashtrian recipe that is served for breakfast or as a snack. It is a healthy low oil breakfast recipe that can be enjoyed even by diabetics and weight watchers. The inclusion of potato, peanuts and coconut adds a nice texture and delicious flavor to the dish. It is a versatile recipe and you can introduce other vegetables such as carrots, green beans, peas, etc. to it. Poha is packed with nutrition and extremely light on the stomach, making it easy to digest. It does not make you feel bloated but keeps you satiated and energized. It is a rich source of iron and carbohydrates that supports the formation of hemoglobin and supplies dietary fiber to the body. It is a low-gluten food suitable for people with gluten-intolerance. The fine and crispy dosa is the most popular Indian breakfast recipe that is enjoyed in a number of states. It is a staple food for many Indians that is enjoyed with sambar and chutney. You can stuff the dosa with the filling of your choice – masala aloo, cauliflower, paneer, cheese and onion, or other vegetables. 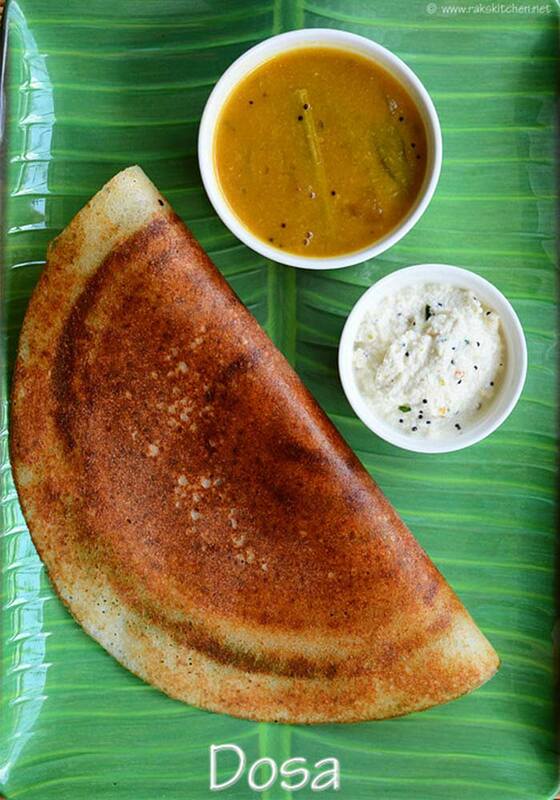 You can cook the dosa with oil or butter in order to enhance the taste and appetizing aromas. Preparation of dosa does not require deep frying, tempering or seasoning. It is a no-spice recipe that is filling, healthy and tasty – all at the same time. It is extremely versatile and its health quotient can be enhances by adding nutritious vegetable and paneer fillings. The combination of rice and lentils in the batter adds a much needed protein, fiber and nutrient punch to the recipe. Medhu Vada, also known as Ulundu Vadai is a delicious South Indian snack that is served by itself or with idli for breakfast. These fried vadas are crispy from outside and soft and fluffy from inside. This recipe makes minimal use of spices and although it is deep fried, you can soak the excess oil by paling the vadas on tissue paper. 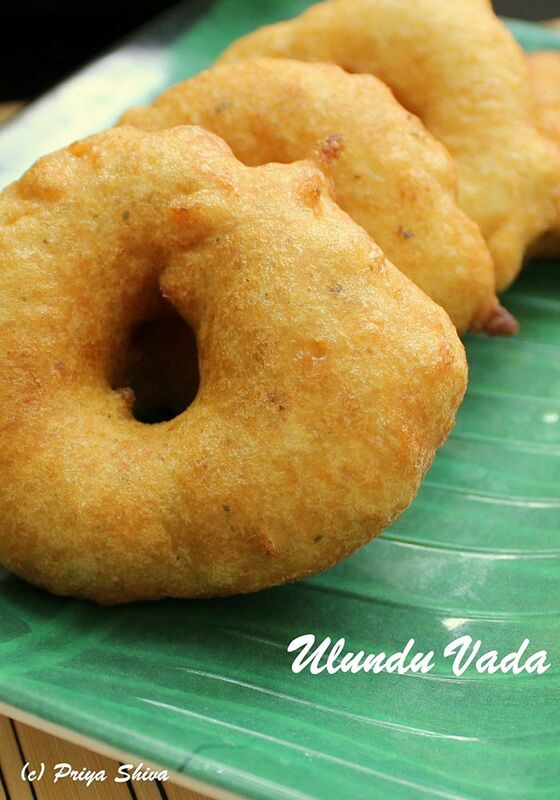 The Vada tastes best with coconut chutney and a steaming cup of coffee. Ural dal or white lentils forms an important part of Indian cuisine and is widely used in recipes. This lentil is a rich source of protein, healthy fats, carbohydrates and vitamin B – all of which are required for healthy functioning of the body. Urad dal is especially beneficial for women because it is a good source of iron, folic acid, calcium and magnesium. Ven Pongal is a combination of pongal, sambar, coconut chutney and Medhu Vadai that makes a complete dish for breakfast. Rich and creamy pongal is made from a combination of cooked white rice and yellow moong dal. It is an extremely nutritious and wholesome dish that supplies a considerable amount of carbohydrate, dietary fiber, protein, vitamins and minerals to the body. The seasoning of ghee, cumin, chilli, ginger and curry leaves makes it extremely flavorful and appetizing. Although most health conscious people despise white rice because it is a simple carb, but white rice is extremely easy to digest and is suitable for those suffering from digestive disorders. Split moong dal is a good source of protein and dietary fiber that increases satiety, lowers cholesterol and aids weight loss. It is a potent source of potassium, calcium and B-complex vitamins as well. 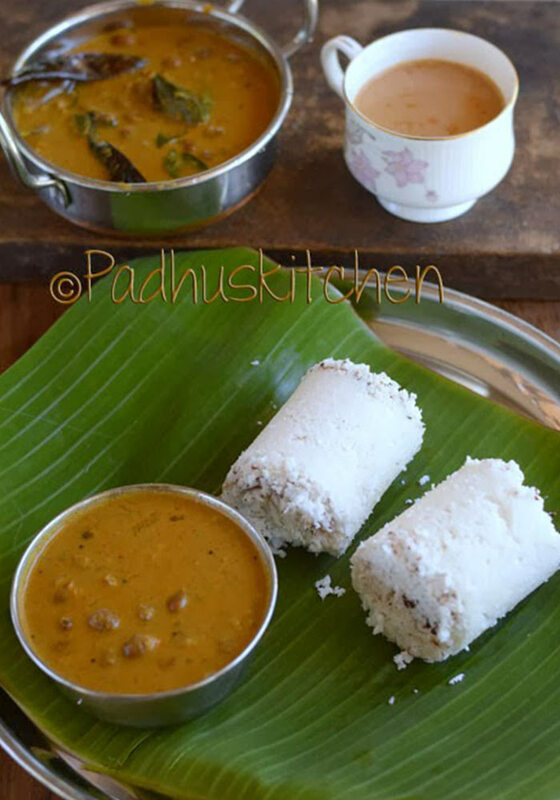 Puttu is a traditional breakfast dish of Kerala that is prepared with special puttu rice flour and coconut. It is served with kadala curry, Cherupayaru curry and papad or with small ripe bananas and sugar. It is an amazing comfort food that fills you up and keeps you satiated till the next meal. As for the taste, it is absolutely scrumptious with curries as well as ripe bananas. The combination of steamed rice flour and coconut creates a wholesome dish packed with fiber, protein and healthy fats. It is a gluten-free recipe suitable for people with gluten-intolerance. Rice flour is a great source of protein and dietary fiber, specifically insoluble fiber that improves digestion and regularizes bowel movement. The medium-chain triglycerides in coconut promote weight loss, provide sustainable energy, improve heart health and curbs hunger. Appam is a spongy and white lacy pancake made with rice and coconut and it tastes delicious. It is an extremely popular recipe from Kerala that is served for breakfast or for lunch and dinner with variety of side dishes ranging from chicken or vegetable stew to egg curry, korma, chutney or sweetened coconut milk. It is an easy and simple recipe that uses 3 to 4 basic ingredients. It is an absolutely non-spicy and non-oily recipe that can be enjoyed by health conscious people and weight watchers. You can consume it on a daily basis without any pinch of guilt. White rice is easy on the stomach and suitable for people with digestive problems. Coconut is a potent source of healthy fats that support weight loss, improve heart health and reduce inflammation. Sabudana Khichdi is a light and flavorful recipe that is usually prepared during fasts and festivals, but it also makes a delicious and wholesome breakfast. Sabudana or pearl tapioca is soaked in water for a while and then cooked with spices, herbs and vegetables and seasoned with nuts and lentils in order to give it a nice crunchy and creamy texture. Sabudana Khichdi is a rich source of carbohydrate that helps to supply sustainable energy to the body so that it can function efficiently throughout the day. The addition of peanuts and lentils to the recipe adds to the protein and fiber content of the recipe and turns it into a balanced meal. Potassium found in sabudana helps to keep blood pressure under control while calcium, iron and vitamin K strengthens the bones and improves flexibility. 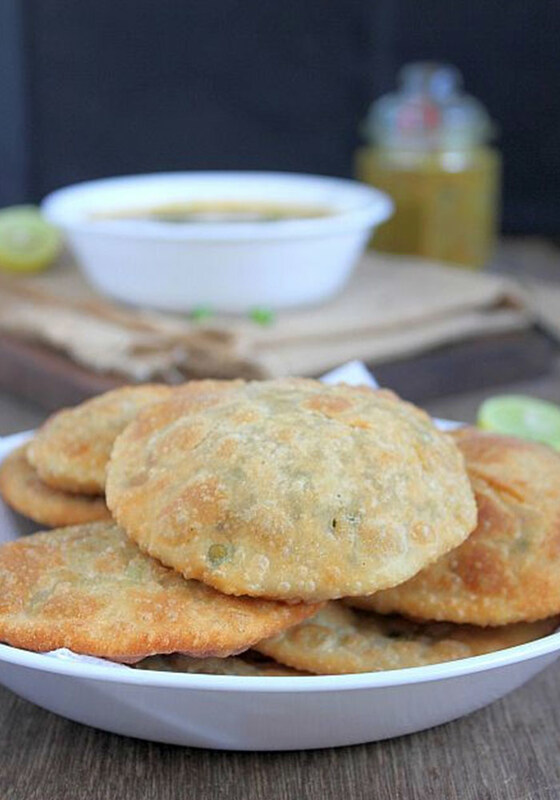 Green peas kachori or matar kachori with aloo sabzi makes a complete meal that is ideal for the elaborate weekend breakfast or brunch. It is an extremely popular breakfast recipe that is widely consumed in Delhi, West Bengal, Punjab and other parts of North India. It is a delicious, flavorful and spicy recipe that can be served for lunch or dinner as well. Although, the kachori are deep fired; but you can soak up the excess oil by keeping them over a layer of tissue paper. The green peas used for the stuffing are a powerhouse of nutrients. They are low in calories but high in protein, fiber and micronutrients. The antioxidants in peas have anti-aging effect and they help to boost up the immune system and supply energy to the body. Fiber and protein in peas help blood sugar regulation, prevent constipation and improve digestive health. Aloo Paratha or the Indian flatbread with spicy potato filling is the perfect breakfast that is enjoyed by people all around the country. It is the ultimate comfort food that makes you feel good and gives and instant boost to your mood as you bite into the soft and crunchy parataha and the flavorful taste of potato filling spread into your mouth. 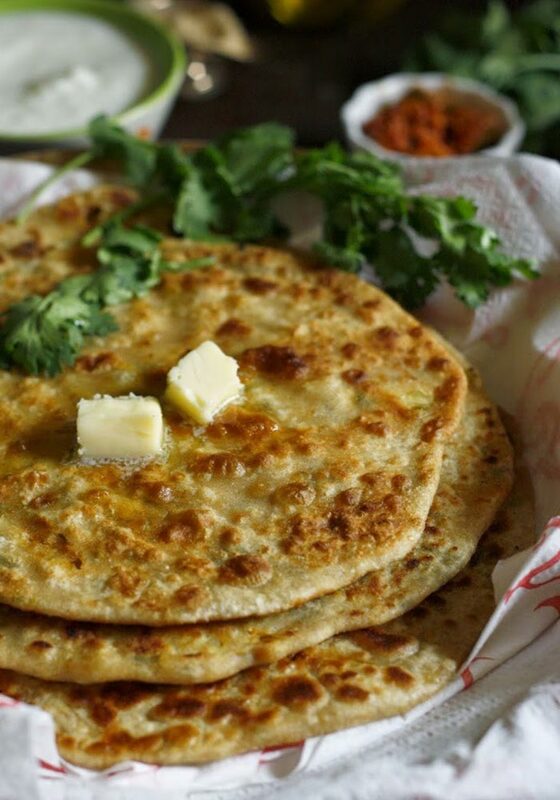 Aloo Paratha is best served with fresh sour curd and mango pickle. The use of whole wheat flour instead of plain all purpose flour enhances the health quotient of the recipe and adds a fiber punch to it. Potatoes used in the filling are a storehouse of energy and nutrition. It is a rich source of potassium that improves muscle functions and reduces high blood pressure. Potatoes contain easily digestible carbs that are ideal for people with digestive disorders. Potatoes relieve internal and external inflammation thanks to its vitamin C content. This quick fix savory besan chilla is a delicious breakfast that does not take up a lot of time. It is bursting with flavors and nutrients and can be served for breakfast or packed for lunch on weekdays. The soft and fluffy vegetarian crepes taste as good as an omelette. The combination of fresh vegetables such as carrots, bell peppers, tomatoes and onions add a nice crunchy texture to the chilla. 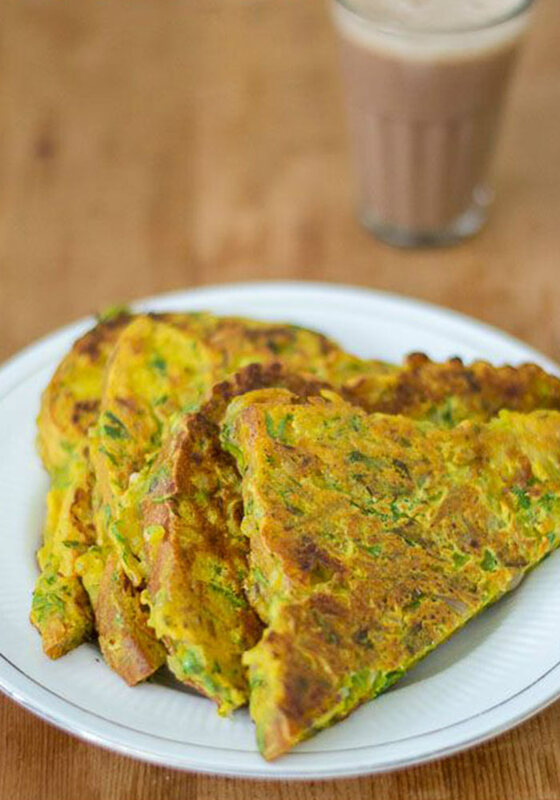 The besan chilla is a delicious and fun way to add more fresh vegetables to your breakfast. Chickpea flour is an absolutely gluten-free versatile ingredient that is packed with protein and fiber. The dietary fiber in chickpea flour improves satiety, aids digestion, balances blood sugar levels and promotes weight loss. The fiber also reduces unhealthy cholesterol levels and helps to maintain healthy blood pressure levels. 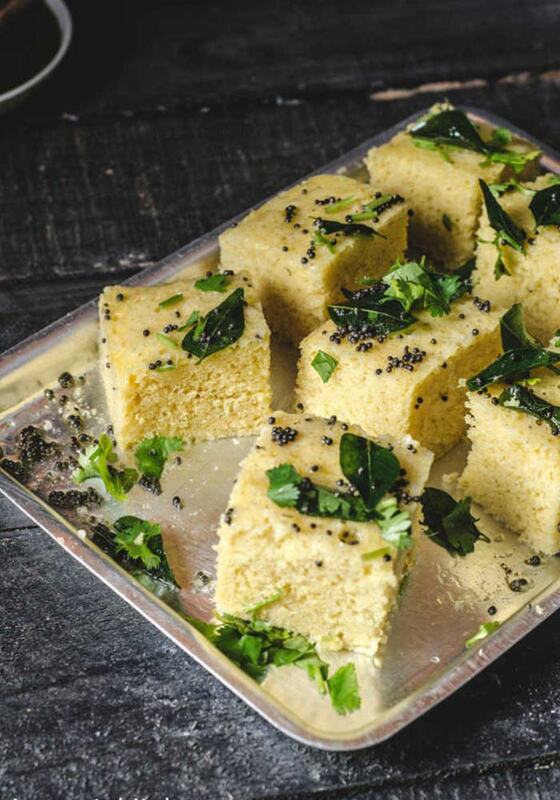 The Khaman Dhokla is a renowned recipe from Gujarat that is served as a breakfast as well as snack. The soft, spongy and fluffy dhokla is made by fermenting the chickpea flour and Semolina mixture and then steaming it for some time. This recipe involves minimal use of oil and spices which helps to keep it light and simple. The dhokla is usually served with green mint chutney and baked green chilies. The healthiest aspect of this recipe is that it does not require any deep frying. It makes minimal use of oil for tempering and the rest of the cooking is done through steaming. Gram flour is a low-glycemic and gluten-free food that helps to lower diabetes and aid digestion. High soluble fiber content in gram flour supports heart health. Semolina is a slow-digesting food that helps you feel fuller for longer. Potassium in semolina improves kidney function, while vitamin E and B-complex vitamins boost immunity. Semolina is also a great source of energy. 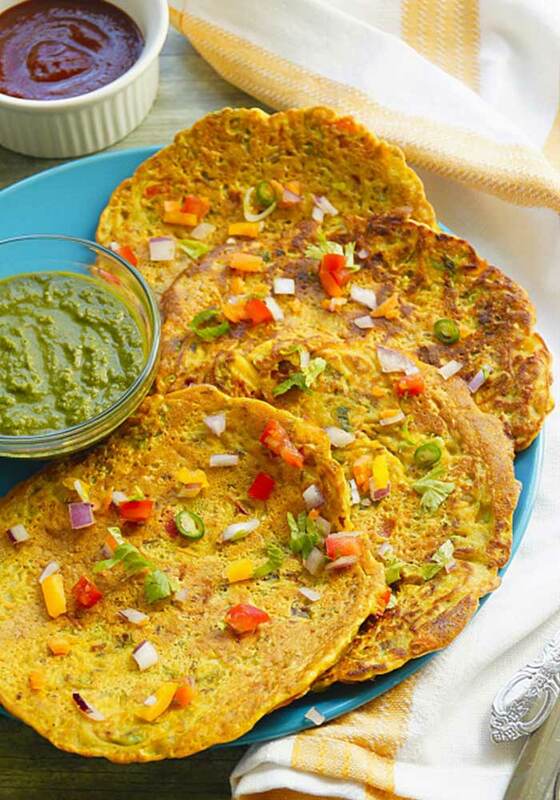 The Methi Thepla is a traditional Gujarati recipe that makes a filling and wholesome breakfast. This is a healthier version of the classic Methi Thepla which makes use of multigrain flatbreads. The combination of spices, Methi and cilantro enhances the flavors of the Thepla. The Thepla can be served with dal, curries, sauces, chutney or pickles. The combination of flours – whole wheat flour, chickpea flour, oats flour, quinoa flour and flax seed meal makes it a nutrient-packed recipe loaded with vitamins, menials, fiber, protein and healthy fats. The fiber and protein in the Thepla increases the feeling of fullness and helps you to stay satiated till the next meal. It also supports the formation of lean muscle mass and aids weight loss. The delicious, savory and spicy bread upma is a quick and easy breakfast recipe that you can prepare in less than 20 minutes. The main ingredient of this recipe is bread which is readily available in the kitchen. If you are bored with the same old buttered toast or sandwiches then you can add a spicy twist to your breakfast with the bread upma. The flavorful and appetizing seasoning of mustard seeds and curry leaves enhances the taste of the dish. This recipe makes use of oil only for tempering the mustard seeds and curry leaves; it does not involve any deep frying. The bread pieces are almost dry roasted along with the spices. Using wheat bread or multigrain bread instead of white bread enhances the health quotient of this recipe. This recipe is extremely versatile and open to innovations, so you can make it even healthier by adding vegetables and nuts of your choice – such as carrots, green beans, cauliflower florets, peas, cashew, peanuts, etc. Missi Roti is a delicious and wholesome Indian flat bread made from a combination of whole wheat flour and gram flour. It is a spicy variation of the plain flat bread where ginger, coriander, leaves, salt, chilli powder and carom seeds are added to the dough. No oil is required for frying the flat bread, it is dry cooked on a tawa. Missi Roti tastes best when it is glazed with butter and served hot with fresh crud and pickle. Minimal use of oil for preparing this recipe enhances its healthful aspects. Using whole wheat flour instead of all purpose flour for the dough adds a power-packed fiber and nutrient punch to the recipe. Whole wheat flour has high fiber content that prevents constipation, lowers cholesterol levels in blood and even aids in weight loss. Being a low glycemic index grain flour, it prevents rapid blood sugar spikes and crashes after a meal which is extremely beneficial for diabetes management. Whole wheat contains several vitamins such as folate, riboflavin, B-complex vitamins, etc. 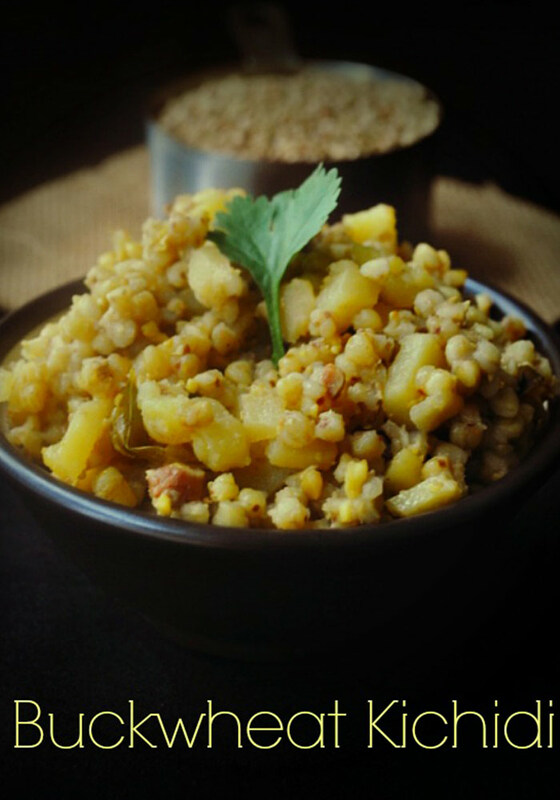 Buckwheat Khichdi is a light and low-spice recipe that is usually prepared for festivals and religious fasts, but it also makes a wholesome breakfast for weekends. When cooked to perfection, buckwheat develops a nice chewy texture. The peanuts add a nice nutty flavor and crunch to the Khichdi. The flavorful spices enhance the aromas of the dish and make it all the more appetizing. Buckwheat is a gluten-free nutrient-rich seed that is widely consumed in Asian countries. Anti-inflammatory property of buckwheat lowers inflammation and unhealthy cholesterol levels in blood. The antioxidants and phenolic compounds in buckwheat helps fight cancer, supports brain, liver and digestive health by neutralizing free radical damage. High fiber and protein content in buckwheat supports energy, growth and muscle synthesis and improves digestion. Being a low glycemic index seed, it helps to prevent and manage diabetes. Semiya upma is a regular breakfast that is prepared in South Indian homes. This light and delicious vermicelli upma can be considered the Indian version of noodles. The flavorful and crunchy seasoning of lentils and peanuts add a nice texture to the dish. It is a versatile breakfast recipe and you can introduce your choice of vegetables to it to enhance its healthful aspect. You can add carrots, green beans, peas, etc. Vermicelli or Semiya is a low-fat carbohydrate option that makes a filling base for your breakfast or meal without adding too much fat. Vermicelli also contains considerable amount of protein and dietary fiber that helps to increase satiety. It is a gluten-free food that is a great choice for people suffering from celiac disease or having gluten sensitivity. Chole Bhature is an extremely popular Punjabi dish that is consumed all over North India and makes a complete breakfast or lunch. The recipe consists of spicy chickpea curry or chole masala that is eaten with crispy and fluffy Bhatura. It makes a mouth-watering combo. It is extremely easy to put together and you can try it as a weekend breakfast or brunch. Chole Bhature is served with fresh onion slices and tangy pickle. 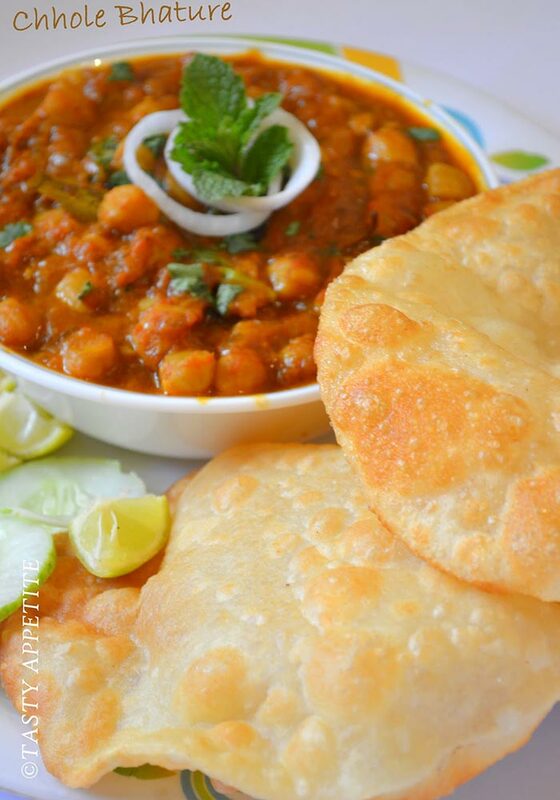 Although, Chole Bhature is a spicy and oily recipe that involves heavy seasoning and deep frying, but the use of nutrient-rich chickpeas in for the curry makes up for it. Chickpeas are a rich source of protein and fiber. The proteins support muscle growth and development while the fiber helps to increase satiety and aids digestion. Chickpeas are also rich in manganese and folate which supports bone development, speeds up wound healing and supports important chemical reactions related to metabolism. Chirer Pulao or Flattened Rice Pulao is a classic Bengali recipe that will take any Bengali back to his or her childhood memories. It is an extremely popular snack recipe that is served for breakfast as well as during the evening. The combination of flattened rice with nuts, raisins and vegetables creates a layer of chewy and crunchy texture. This is a quick and easy breakfast recipe that is healthy and filling and tasty at the same time. The combination of nuts, raisins and vegetables in this recipe provides a power-packed nutrient punch of protein, fiber, vitamins, minerals and healthy fats. Flattened rice makes a wholesome and filling base for the recipe that is easy to digest and a potent source of sustainable energy that helps you to stay active throughout the day. Besan toast is yet another quick and easy Indian breakfast recipe that can be put together in less than 30 minutes. Bread, the main ingredient of this recipe is readily available in the kitchen. Besan toast is the Indian vegetarian version of the French toast. It also makes a mouth-watering tea-time snack. The savory and crispy besan toast taste best when served hot with coriander chutney or tomato sauce. Although, besan toast is a deep fired recipe, but the chickpea flour used in it is a versatile, gluten-free and high-protein substitute for all-purpose flour. It is an excellent source of dietary fiber as well that helps to increase satiety and reduce the risk of diabetes, colon cancer and weight gain. The total and soluble fiber as well as the resistant starch in chickpea flour makes it a low-glycemic index flour which prevents constipation and fills you up easily, thereby preventing overeating. Kappa Vevichathu is a traditional Dish from Kerala that is served with spicy curry as a snack or breakfast. It is made by mashing up boiled tapioca and seasoning it spices, chilies, garlic and curry leaves. It is a healthy and wholesome breakfast recipe packed with fiber, proteins and other nutrients. The flavorful spices, coconut and seasoning enhance the taste of this rich and creamy tapioca dish. Tapioca is a filling and wholesome food packed with fiber and nutrients. The dietary fiber in tapioca supports digestion, relieves constipation, bloating and intestinal pain and reduces the risk of colorectal cancer. Tapioca is a wonderful vegetarian source of protein that aids muscle development, growth and healing. Vitamin K, calcium and iron in tapioca improves bone health and reduces the chances of osteoporosis, osteoarthritis and weakness. Kachiori or Khasta kachori is a popular Indian recipe hailing from Rajasthan. 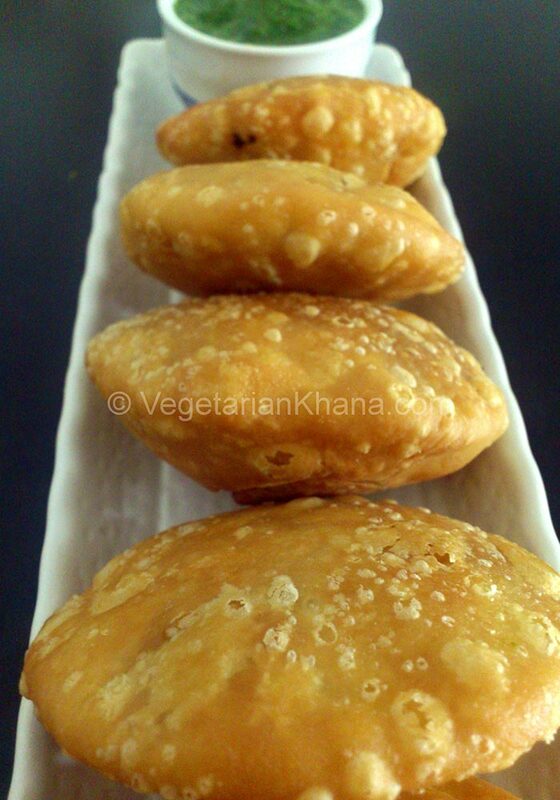 It is a crispy and flaky pastry filled with spiced gram flour or spiced lentils. There are a wide variety of kachori in different regions of India. Kachori makes a delicious snack and it can also be served as an appetizing breakfast with green coriander chutney or peas curry. This is another deep-fired breakfast recipe that can be enjoyed occasionally. You can notch of the health quotient of this recipe by using refined oil for frying the kachori and using a few tissue papers to bloat the excess oil. The gram flour or lentils used for the filling adds some protein and fiber punch to the recipe and makes it a wholesome and filling dish that will keep you satiated till lunch. 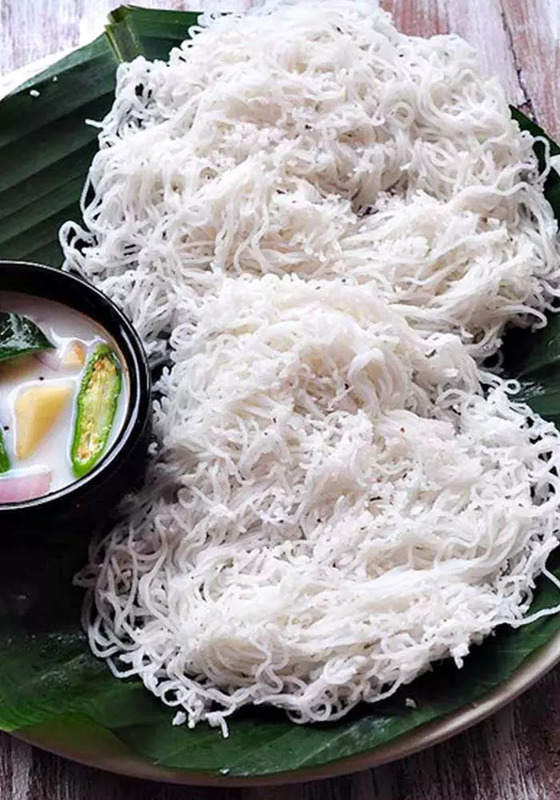 Idiyappam is a Kerala style sevai recipe made from steamed rice flour noodles and grated coconut. It is a popular breakfast that is frequently prepared in homes in Kerala. The inclusion of freshly grated coconut adds an appetizing tropical aroma to the recipe. 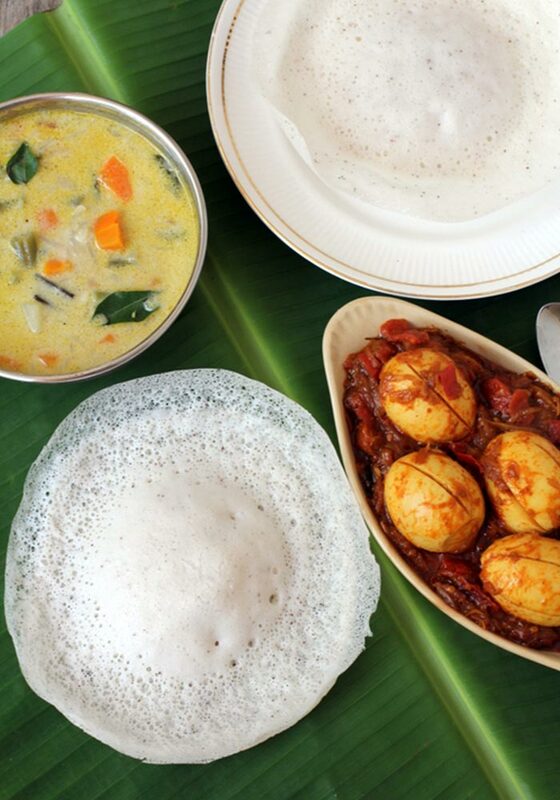 Soft, creamy and wholesome Idiyappam taste best when served with potato stew and coconut chutney. This is a healthy and wholesome Indian breakfast that does not require any oil or spices for preparation. The entire cocking is done through steaming which gives it a beautiful soft texture and keeps it light and simple. Rice flour used in the recipe is a good source of carbohydrates that makes it a filling recipe. It is easy on the stomach and can be digested effortlessly. 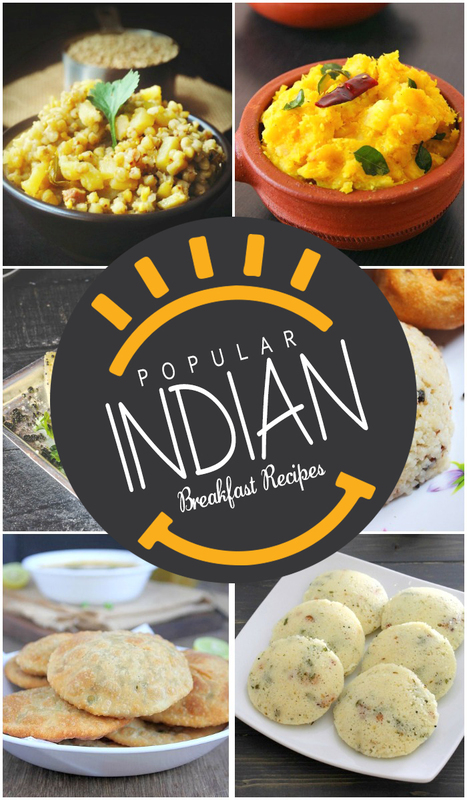 Prepare these delicious and wholesome Indian breakfast recipes in your kitchen and try to get at least 25 percent of the day’s calories from your breakfast in order to improve overall health and maintain healthy body weight.